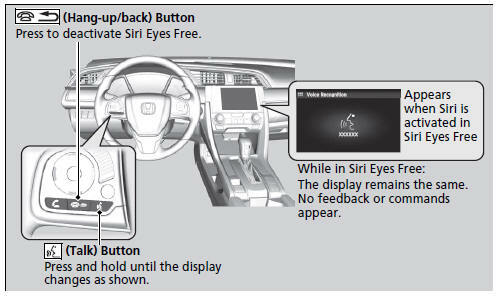 You can talk to Siri using the (Talk) button on the steering wheel when your iPhone is paired to the Bluetooth’ HandsFreeLink’ (HFL) system. Siri is a trademark of Apple Inc. Check Apple Inc. website for features available for Siri. Some commands work only on specific phone features or apps.